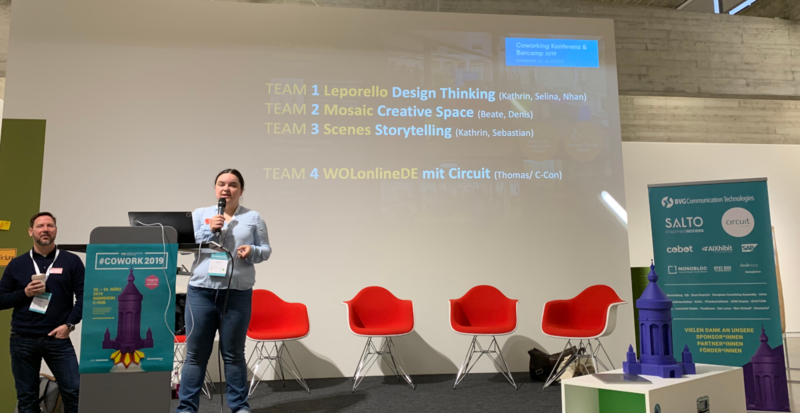 With our Circuit partner BVG Communication Technologies, we were happy to be part of Cowork 2019, the annual conference and BarCamp organized by the German Coworking Federation (GCF). Thomas Schlebach from BVG was joined at the event by two of our Atos student trainees, Marcel Gardias and Niclas Strauch, and I discussed their key insights and takeaways. To us, the event brought together three topics that share the same basic motivation of openness, collaboration, and community: Coworking, Working Out Loud and Circuit. Tobias Kremkau, one of the organizers and coworking manager at St. Oberholz in Berlin, has already shared his event summary [German] and sees two particularly relevant themes: Coworking in rural areas, team offsites, and workstations, as well as coworking spaces, becoming more “professional” and mature. As more enterprises like ourselves join coworking communities, spaces need to sort out legal and labor law questions that were not as relevant for the original tenants, mainly freelancers or startups. But also on the corporate side, a lot of change has to happen. Coworking is not just a place to work, but also an attitude of open collaboration and knowledge sharing. Not all corporates may see an immediate need, but will ultimately benefit from exposing themselves to more open and agile work environments and contribute to them. For example, corporates like Siemens are using coworking spaces to create innovation labs outside their comfort zones. Like coworking, Working Out Loud (WOL) requires a fair amount of intrinsic motivation, to reach out to people outside one‘s own comfort zone, to learn and freely share. As Thomas and I discussed in a previous interview, WOL is practiced at Bosch, Continental, Daimler, Siemens, and other corporates. SMBs are using the WOLonlineDE community to learn about the process and framework and take their own first steps. 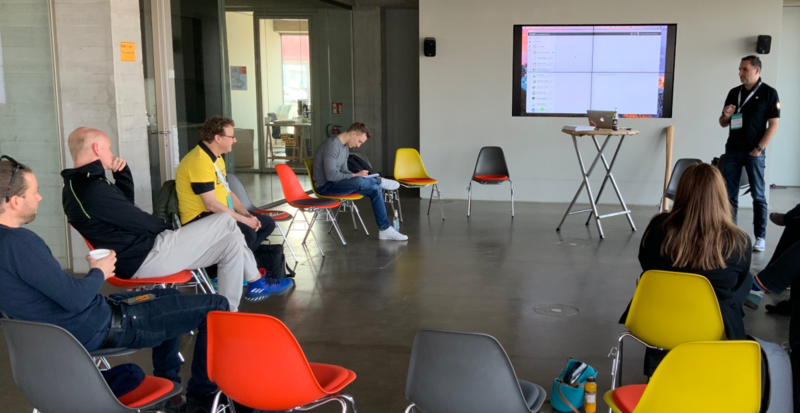 Thomas and his team from WOLonlineDE offered a hands-on barcamp session about their experience as a virtual WOL organizer and moderator. Like with coworking, the goal is to identify shared interested, expand the network and share knowledge. Thomas and the team are using Circuit to organize and host virtual WOL sessions and shared key insights and best practices with the coworking community. The team usually hosts 25 participants per session who meet in a central “lounge” conversation. Participants then spread into five rooms with five moderators to learn about the first steps with WOL. For the group sessions, video is mandatory because the focus is on getting to know each other and start building trust as a completely virtual community. “As a first exercise and to break the ice, we ask participants to share ten facts about themselves in the Circuit conversation. Participants start to see their similarities and shared interests. They start discussing how everybody can help each other with tips or access to their personal networks”, Thomas explains. Cowork 2019 was another proof point to show that bits, bricks, and behavior come together to create the future of work. We are looking forward to 2020, see you in Erfurt.